Do you have junk, debris or clutter stacking up at your home or place of business? Do you live in the Alpharetta area? Have you been trying to find the best possible solution to getting rid of all this junk for some time? Well, if this sounds like you, then you’re not alone, but we have good news for you. The answer to the question of “What am I going to do with all this junk?” is simple, The Junk Bucket. The Junk Bucket is the number one dumpster rental solution for home owners and business owners all throughout the Alpharetta Area. The Junk Bucket is head and shoulders above other dumpster rental companies alike. Junk Bucket Dumpsters are affordable, clean, maneuverable, and best of all, convenient! Junk Bucket Dumpsters are priced to be affordable, in order to help the DIYer’s out there in Alpharetta to get rid of their unwanted junk. Having a Junk Bucket sit outside your home or office for a few days as you fill it at your own pace is extremely convenient for most. You go at your pace and clean out and throw away what you want, when you want. We also offer a junk removal service, where we fill it all for you and do the labor then and there. 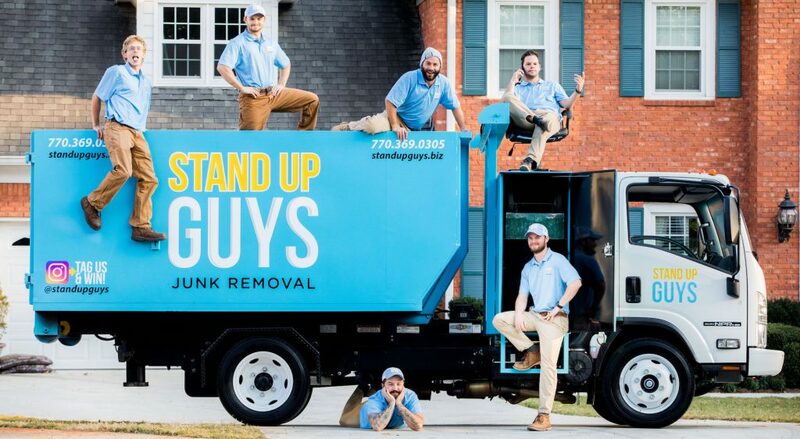 Another reason why the people of Alpharetta are falling in love with The Stand Up Guys Junk Buckets is their looks. That might sound conceded, but it is what it is. The Junk Buckets are all clean as a whistle and designed to make your neighbors jealous. 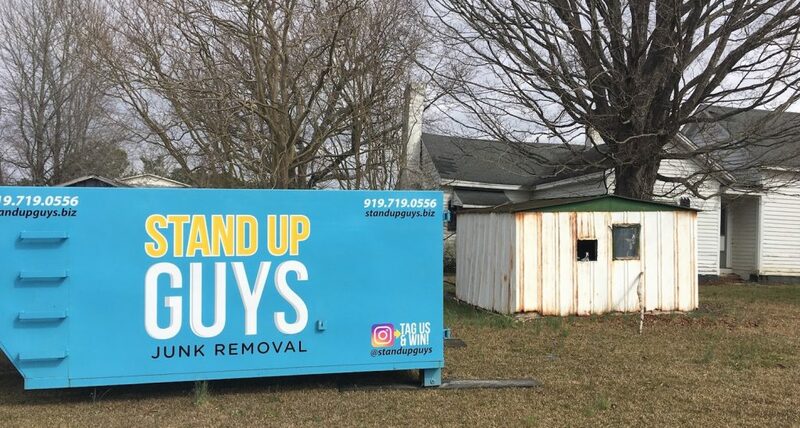 They are also designed with a sleeker body than other dumpsters, this means they can fit into smaller places that other dumpsters cant, like your side-yard, or small driveway. Alpharetta is one of the most populated and affluent suburbs in all of Metro Atlanta. With a population of well over 57,000 people and growing everyday, Alpharetta is as nice of an area as you will find in the entire South East. Alpharetta is also known for its awesome schools, higher education and economy. This is a prime spot to live if you are in the Metro Atlanta Area. The people of Alpharetta will swear by that too.